We at La Belle Cuisine are serious about coffee. Our customers know our coffee, and come to us for their coffee beans. These are customers with discerning taste who have searched for, and found with us, a bean or blend that meets their criteria of superb flavor, body, and aroma. The richness of the coffee they brew is the result of the beans we choose. Arabica beans, from all over the world, are delivered to us weekly. These are not the same beans found in pre-measured pods, filter bags, or portion packaged pre-ground coffee. Convenience is a trend that has infiltrated our entire culture – even our coffee culture. In the world of coffee, convenience suggests the use of lesser quality beans – Robustas – that are widely used in commercial blends, and that lack the flavor, richness and aroma of the Arabicas. While convenience is not without its merits, coffee should be exempt from the marketing of convenience. We believe our customers deserve better. We offer a wide variety of coffee beans, and some are so wonderful that they need further elaboration. I’ll spare you too much detail here, and let you explore our selection yourself. But for now, one of my best sellers is the Sumatra Dark Roast. 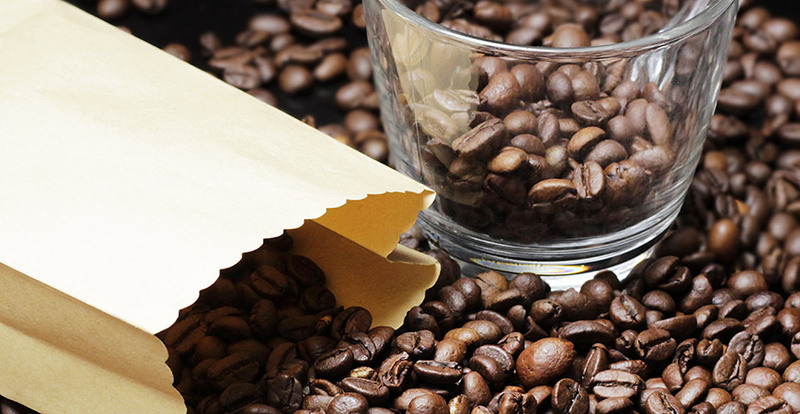 Some of the finest coffee beans hail from Indonesia. All have a deep, heavy body with fine acidity, which gives brightness and clarity to the flavor. Grown in a region where volcanic ash adds to superior soil conditions, the crops are relatively small. The richness of the Sumatra Dark Roast bean cannot be overstated. Another very popular bean is our Yemen Mocha, long established as one of the world’s most delicious coffees. Before describing the characteristics of this bean, here’s a bit of trivia. Grown in Yemen, the “Mocha” part of this bean’s name actually designates the origin designation for a type of coffee. This is true of a lot of coffee: part of the name refers to a geographic origin. Prior to the mid-1800s, Mocha was a small port on the Red Sea from which coffee was exported. Today, this small crop is shipped through the ports of Aden and Hodeida, but the name Mocha stuck as a geographical marker. Yemen Mocha is a very pleasant coffee, wonderfully complex and with a somewhat heavy body. It is both smooth and piquant. While the name suggests the flavor of coffee and chocolate in combination (I get asked about this often! ), be assured that coffee does not taste like chocolate unless chocolate is added. Our Costa Rica Peaberry is a smallish bean that has the appearance of a berry. Grown at high altitudes assures a high quality bean. (In fact, the higher the altitude, the harder the bean…and the harder the bean, the finer the coffee.) The Costa Rica Peaberry bean is known for its high acidity, fine body, and good aroma. I hope you take an opportunity to browse through our coffee selection, either in-store or on our website. As a coffee consumer – or as a consumer of anything – it’s important for you to get to know and understand the products you purchase. The best coffees are those cultivated with attention to growing conditions, including temperature, soil, moisture, and sun/shade ratio. All of these factors affect the quality of the bean and the flavor and aroma it will offer. Yes, it is all about the bean!